Flowering Date Late spring to first frost. 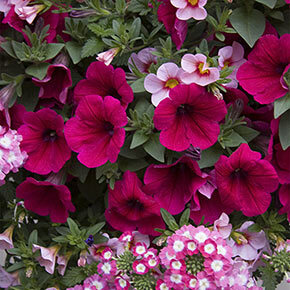 When you purchase annuals like petunias from Spring Hill, they'll be delivered to you at the proper planting time. No more searching garden centers for hard-to-find annuals. Flowering Date: Late spring to first frost. Flower Form: Funnel-shaped with broad petals. Foliage Type: 3" long, simple cordate, medium green. 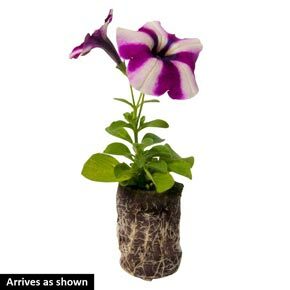 Pruning: This is a self-cleaning Petunia. No need to remove spent blooms.